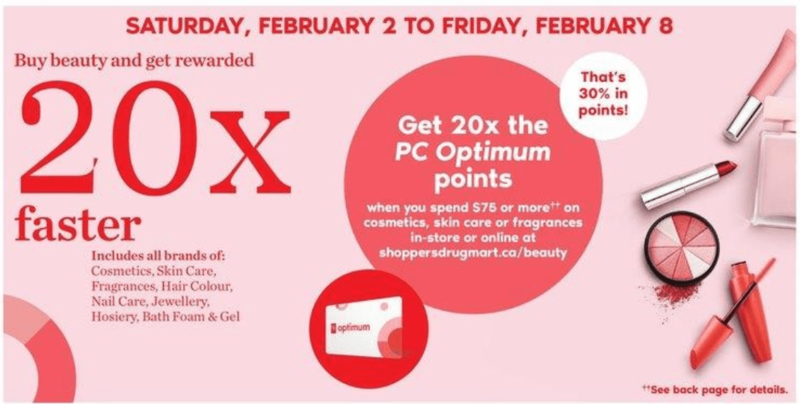 Shoppers Drug Mart Canada has a good offer available now, until February 8, 2019, where you can Get 20x The PC Optimum points when you spend $75 or more on cosmetics and fragrances. Also, there are offers valid all week long. Finally, this week, Get 10,000 PC Optimum points when you purchase $50 in gift cards from Bass Pro, Cabela’s, La Vie En Rose, or WaySpa. The bonus points will appear in your account by March the 1st 2019.